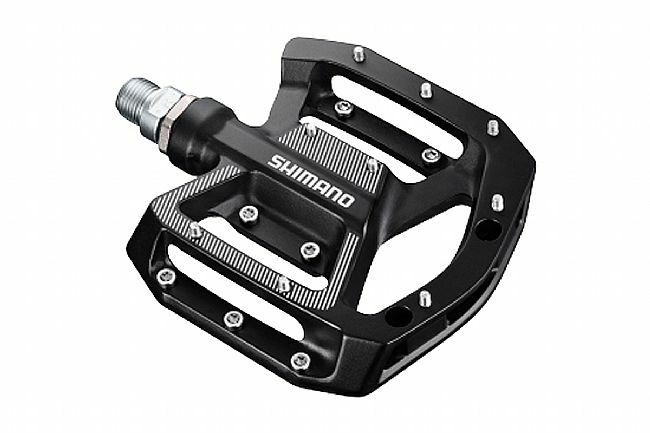 The Shimano PD-GR500 Flat Pedals are a solid, multi-purpose pedal designed to stand up to whatever ride you throw at it. Featuring three different pin height settings, the PD-GR500 offers customizable under-foot traction for confident pedaling in all conditions. Durable, versatile platform pedal with removable metal pins. 9 pins per platform, 3 different pin heights. Does not require special shoes or cleats. 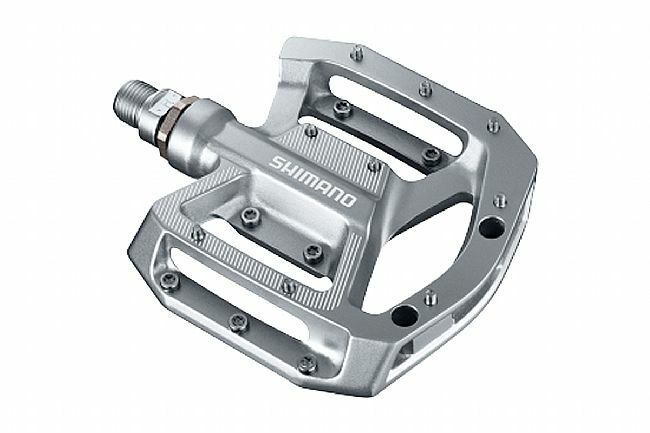 I ride in new balance 1540's , these pedals are very comfortable and the pins provide the perfect amount of grip. I use them on my road and mountain bikes. I want to be able to move my shoes forward and back on the pedals as I ride.